Bielsk Podlaski [ˈbʲɛlsk pɔdˈlaskʲi] (Ukrainian: Більськ Bil's'k) is an Urban Gmina (Polish: gmina miejska) (Town) in Bielsk County, Podlaskie Voivodeship. 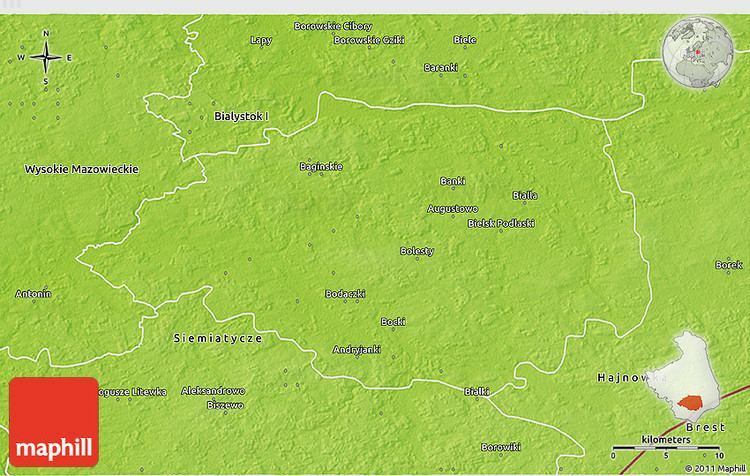 It is located north-eastern Poland. Bielsk Podlaski is located in the geographical region of Europe known as the Wysoczyzny Podlasko – Bialoruskie (English: Podlaskie and Belarus Plateau) and the mezoregion known as the Równinę Bielską (English: Bielsk Plain). The town covers an area of 32.43 square kilometres (12.5 sq mi). Bielsk Podlaski has a long and rich history, dating back to the 12th century, when this area of Poland belonged to Kievan Rus'. The gord of Bielsk was probably founded by Ruthenian dukes, and its existence was first mentioned in 1253, in the so-called Hypatian Codex. In 1273, Bielsk was captured by Lithuanian duke Traidenis, and in the early 14th century, whole province of Podlasie became annexed by the Grand Duchy of Lithuania. The region was subject to Teutonic Knights raids, which took place in 1346 and 1379. In 1382, Mazovian Duke Janusz I of Warsaw captured Bielsk, Drohiczyn, Suraz and Mielnik, taking advantage of the Lithuanian Civil War (1381–84). Next year, Jogaila pushed the Mazovians out of Bielsko, handing the gord over to Vytautas (Witold). In 1390, Jogaila, who had become King of Poland, handed Bielsk, Suraz, Drohiczyn and Mielnik over to Janusz I. Due to its convenient location along a merchant route from Kraków to Vilnius, Bielsk became an important center of trade and administration. In late November 1412, it was visited by King Jogaila, and 1413, the Land of Drohiczyn, together with Bielsk, became part of Trakai Voivodeship. In 1430, Duke Vytautas named first vogt of Bielsko, a man named Andrzej. A number of Poles from Mazovia begin to settle in Podlasie. Bielsk received its Magdeburg rights town charter on November 18, 1495, from King Alexander I Jagiellon. In September 1501, a meeting of Lithuanian nobility took place here. Several Polish rulers visited Bielsk, such as Jogaila, Alexander I (1505), Sigismund I the Old (1506, 1509), and Sigismund II Augustus (1564). 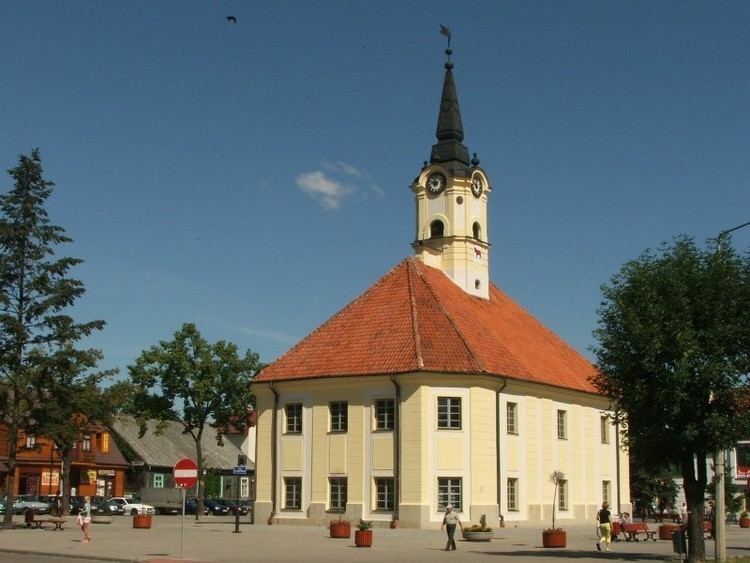 In 1513, Bielsk was named capital of the newly created Podlaskie Voivodeship; by 1563, the town had 830 houses, and was also main center of the Land of Bielsko. In early summer of 1564, when king Sigismund II Augustus stayed here with Primate Jakub Uchański, to discuss the new Polish - Lithuanian union (see Union of Lublin), the wooden castle of Bielsk burned to the ground, with the king watching the incident from the stables. New castle for the local starosta was built in Holowiesko, while land court was moved to Brańsk. Following the Union of Lublin (1569), Bielsko was transferred from Grand Duchy of Lithuania into the Kingdom of Poland. The town prospered, with churches, hospital, mills, shops and 265 artisans (as for 1576). Bielsko burned in 1591, and Swedish invasion of Poland brought almost complete destruction (1655). Following the Partitions of Poland, Bielsk briefly belonged to the Kingdom of Prussia (1795-1807): after the Treaties of Tilsit, it was transferred to the Russian Empire. 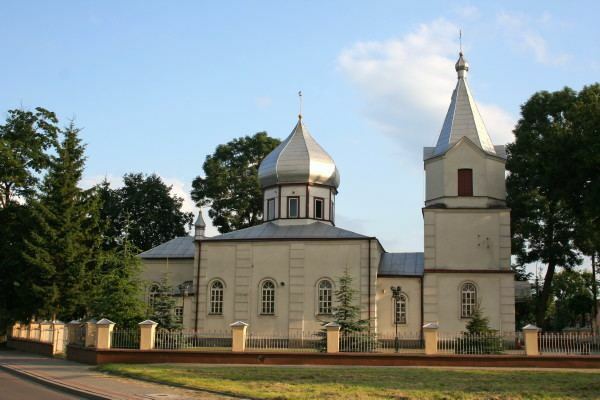 From 1843, it belonged to the Grodno Governorate. Residents of the area actively participated in both November Uprising and January Uprising. In 1873, Bielsk received rail connection with Brest Litovsk, and in 1915, German troops burned the rail station. Germans retreated from the town in February 1919, and were replaced by Polish Army units. In late July 1920, during the Polish-Soviet War, Bielsk was briefly occupied by the Red Army. In the Second Polish Republic, Bielsk belonged to Białystok Voivodeship. During the 1939 Invasion of Poland, the town was captured by the Wehrmacht, which on September 23 handed it over to the Soviets, who remained here until June 23, 1941, forcibly sending thousands to Siberia. In 1941 - 1944, the town was occupied by the Third Reich. Germans murdered its Jewish minority, and in a nearby forest killed approximately 800 Poles. Bielsk was captured by the Red Army on July 30, 1944. 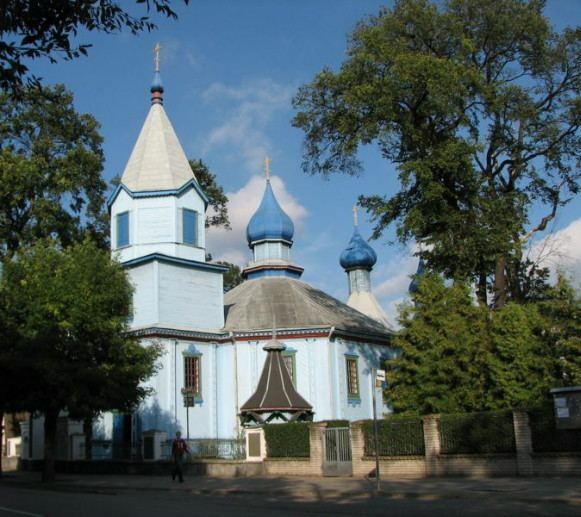 The Carmelites Church in Bielsk and monastery was founded in 1641 by magnate Adam Kazanowski (Starost of Bielsk from 1638) and dedicated to the Mother of God of Mount Carmel. The project was also financed by his wife Elżbieta (Halszka) Słuszczanka (about 1619-1671). It is the seat of Gmina Bielsk Podlaski, but is not part of Gmina Bielsk Podlaski. The chief executive of the government is the Mayor (Polish: Burmistrz). The legislative portion of the government is the Council (Polish: Rada) composed of the President (Polish: Przewodniczący), the Vice President (Polish: Wiceprzewodniczący) and thirteen councilors. Bielsk Podlaski (town) is bordered by Gmina Bielsk Podlaski. The region has a continental climate which is characterized by high temperatures during summer and long and frosty winters. The average amount of rainfall during the year exceeds 550 millimetres (21.7 in).